This close to the election, everything seems to revolve around the election. At least if one is a hard-core Republican. Or more on point, everything seems to revolve around hating Obama. 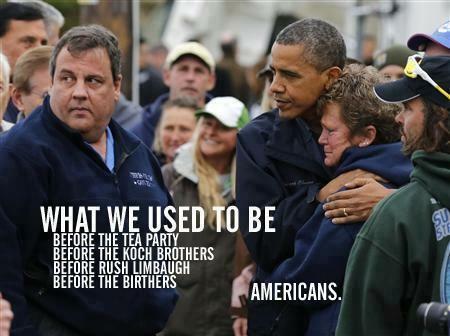 The bodies weren’t even cold in Benghazi and Romney was heaping criticism on Obama, and he never let up. Odd, I don’t recall the GOP ever criticizing Bush for his military fiascoes, but once Obama was in charge, nothing but criticism. Hurricane Sandy appears to be the same. A Republican governor praises Obama for his prompt and effective response to Hurricane Sandy, and right wing pundits are foaming at the mouth. Classy, real classy. I used to be a Republican, but the party I knew at least acknowledged that we were all Americans, and that it was the politician’s job to work together to run the country. Now Republicans seem to be trying to outdo themselves at reaching ever more ridiculous levels of partisanship. Granted there are voices on the left falling into the same trap, but I’ve yet to hear any liberals criticizing Obama for helping out a Republican governor. Plenty of them have praised Governor Christie though, I was impressed. Yeah, the storm was a break for Obama, but the Republicans could have handled the situation with far more dignity, instead they made it clear no matter how bad things get, no matter how many Americans die; Obama and the people who support him, tens of millions of Americans, can go f**k themselves. I’ll be glad when the election is over and Romney can move on to being a rodeo clown. 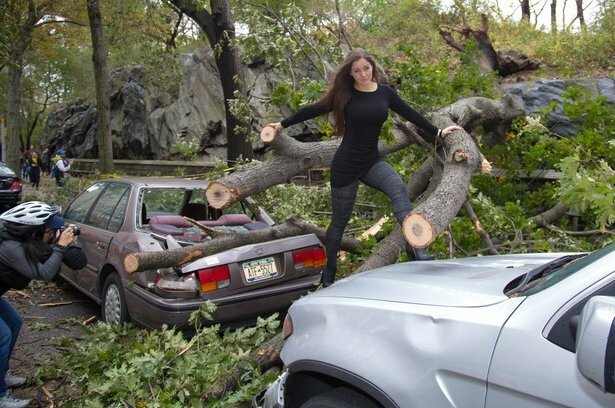 Speaking of Hurricane Sandy, or Superstorm Sandy as some are calling it, it was quite the storm. At least 90 dead in the USA, far more in the Caribbean. It wasn’t a super powerful storm, but it was super huge, one of the biggest hurricanes on record, it affected 24 states in the USA and numerous nations in the Carribean. Sandy wasn’t unprecedented, but it was certainly unusual. It’s already on track to be the second most damaging USA East Coast hurricane ever. Still, several times a century a storm like this can be expected to hit New York. And the frequency will be going up as the tropical seas get warmer. The real damage was caused by the storm surge. A storm surge is a pile of water pushed ahead of a storm by winds, surges of over 30 feet have been recorded. Think a tide thirty feet high. Not a pretty sight, storm surges are the big killer in hurricanes and cyclones. On the plus side, they can be prevented. A storm surge killed thousands in Holland in 1953, giant coastal defenses were built to prevent it happening again. Such were suggested for New York long ago, the idea is being revisited in the aftermath of Sandy. We’ll see. A discussion of Sandy wouldn’t be complete without some mention of global warming. Was Sandy caused by global warming? It’s impossible to say, global warming is about climate, not weather. A fact that global climate change deniers conveniently ignore pretty much every time there is a severe snowstorm somewhere. Granted plenty of global warming activists are claiming that Sandy is clear proof of global warming. I feel their frustration, the globe increasingly is having the kind of extreme weather events that global warming predicts, the fact that it’s not possible to conclusively say that a particular event was caused by global warming is very difficult to explain to people who want to resist science they don’t approve of. However, even if global warming didn’t cause Sandy, it made it worse. That seems to be pretty clear to the climatologists. And at least it got the topic back on the news, that’s a good thing. Good for everyone except the coal and oil industry, sadly they own a lot of think tanks, politicians, and journalists … and they’re not afraid to use them.